Fortunately creative genius isn’t just for genius’s. Creativity is part of being a Christian and walking with God. It’s something you and I can cultivate. Creative Theology – Many of us read Proverbs 25:2 with the assumption that God knows the future and every new invention already. That makes creativity a simple matter if getting God to reveal what he knows. I want to suggest that predestination is not entirely true. The most helpful picture of God is that he is creative by His very nature, He’s still creating new things, and that “created in His image” implies we share a role in the creative process. We don’t just ask Him to give us inventions. We ask for wisdom and walk with Him through the creative process. When a new idea is discovered we’re congratulating each other. We’re glorifying God while we sense Him saying, “Well done.” With that understanding of God’s nature, let’s focus on our own mindset that fosters creativity. Passion – If we have a servant mentality, we will naturally gravitate toward opportunities to obey. We would be prone to be comfortable with a “predestined, God knows what I need, I’ll wait until He shows me” mentality. Kings are friends of God and have a totally different mindset. They have allowed themselves to pursue their heart’s desire. 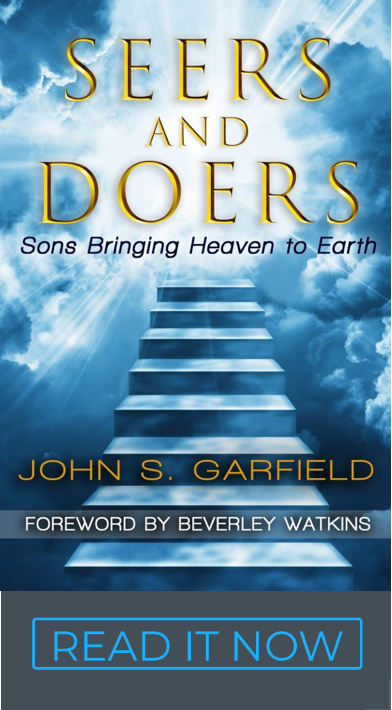 They carry a dream that gives purpose to their life and connects them with God’s larger purposes for the Kingdom. They aren’t just asking for one time answers; they ask for wisdom from God and the kind of “friend” relationship that shares the creative process. Kings put together the plan and take the steps to implement it. God helps us steer the ship toward divine appointments and midcourse adjustments. Kings are always moving toward their purpose. They create answers instead of asking and waiting for God to do it all. There are times when God gives us a major intervention; there are also seasons when he allows us to carry the load with the wisdom and anointing He’s given us. Define the Obstacle – When we truly engage our hearts with a desire and a dream, the first thing we encounter is problems. The most common one is money to fund the dream. If it’s not money it might be schedule, or people or an idea that’s missing. Here’s my point: Kings that have a clear purpose also have a leg up on the first step of the creative process. They can clearly define the obstacle that stands in the way of their dream. Clearly defining a discreet problem is the first step toward a creative solution. Kings with a purpose and a plan built around the desires of their heart, see those problems most clearly… and are most passionate about solving them. Is there an answer? – When we connect to God’s plan for the Kingdom, we always find an open door somewhere, sometime. It might not be on our schedule or inside our comfort zone, but it’s always there. That’s important to know, because if we doubt our direction we’ll be prone to giving up on finding a solution. Understanding the connection between our heart’s desire and the larger purposes of God gives us a tenacity that won’t quit. Reading the Bible in it’s entirety leaves us with one obvious conclusion. There can be times when the purpose of the God is larger and longer lasting than our very lives. Kings see that as even more exciting. We’re tapped into something much bigger than ourselves, much more important than our personal success or even our own lives. Our role in the Kingdom can be connected to the generational contributions of our fathers and our sons. Kings see the big picture and understand that there is an answer for every problem. We just have to find it. Genius – The fruit of wisdom, understanding and intelligence is taking a complex problem and distilling it down to a simple solution that everyone can easily understand. Genius makes things simple and appears humble doing it. Creativity defines a problem, acknowledges the existence of a simple solution and then sets about enthusiastically exploring alternatives in a meditative, prayerful, and child-like thought process. At this stage, engaging others to help identify new ideas can be very helpful (see Meet Your Dream Board). Openness to new alternatives is the hallmark of the creative process. As we engage the options, a light comes on and we see a solution. It might be a partial solution that shows up during the quiet of the night, or the rush of our morning shower or during a conversation with another King. If the problem is defined and the options are available, wisdom and revelation can connect the dots and find a new idea. When that new idea comes, It really does feel like a prophetic revelation. Whether it came from my mind or my spirit doesn’t really matter… when it happens there is “leap” in my spirit that rejoices with God for the new. Like revelation, I try to capture it in my mind and write it down or draw it up. It’s a new baby that has to be nurtured and refined until it becomes a full-grown solution. And, as the problem bows, I begin to dance. The creative process is Godly and liberating. Once we experience it few times, we are charged with passion to take another step… we grow in stature from glory to glory. Our creative prowess matures and we are not intimidated by circumstances or obstacles the enemy puts in front of us. We’re kings; Jesus is the King of Kings. We’re ruling and reigning with Him… now in this life… practically, financially, politically. Problems bow before us. Finances, opportunities, and divine appointments flow toward us because of the favor of God on our lives and the attitude of abundance in our hearts.